I was recently introduced to an amazing blog/online store. She not only gives me inspiration to get dressed when I work from home (she posts her weekly outfits) but she also has the cutest prints for sale and awesome home decor. She has tutorials for the cutest projects and monthly giveaways too. 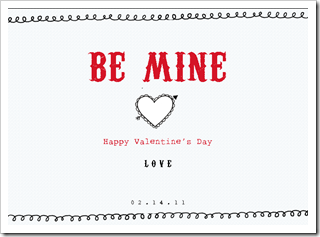 She often puts up free pdf prints you can download and then a ton more she will send you for a very affordable price. I look forward to following her blog and WISH I could only be so creative. But hey, that's why she has a blog, so I can be inspired. I mean, she even taught me how to tie a scarf, something I have been trying to master for years, embarassing but true!! They always look like I got tangled in the thing instead of stylish like all the celebs when they aren't "trying." She's the friend I wish lived next door instead of online. My favorite thing about these design blogs is that when you ask them a question, well, they respond. It isn't a corporation behind them so if they are anything like me, they are tickled pink they even have followers let alone people who care enough to write in (hint, hint, wink, wink). And now with much anticipation, my favorite blog of the week (and for probably months) is jones design company. 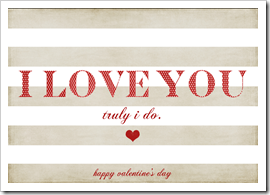 I ordered her Valentine's Day cards and can't wait to buy card stock, print them out and send them along. So cute and fits my budget! 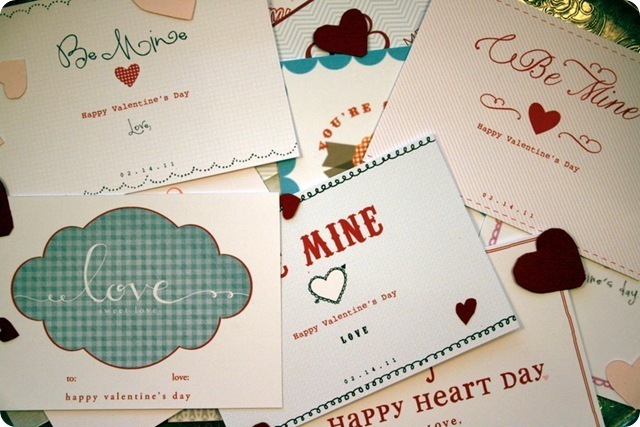 $7.95 for all the cards (or buy one for $2.95), buy card stock, stamps and voila! You can use them as many times as you want. These ones are my favorites!!! 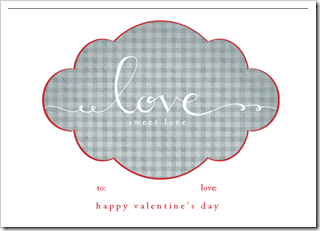 All pictures are from Jones Design Company - Valentines Day blog post. I adore Jones Design Company too! She's AMAZING:).